1. 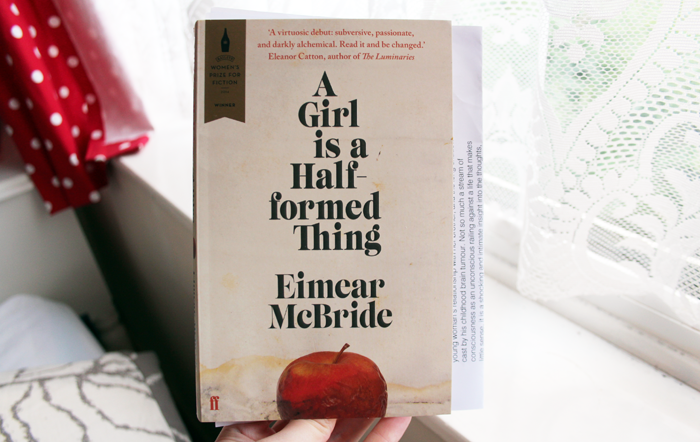 A Girl is a Half-formed Thing* found a publisher a decade after it was written and I think it's really important that it did. 2. Dreaming about owning a publishing house specialising in slightly obscure books. It's never going to happen, but I think it's okay to indulge in dreams every so often. 3. A day of replying to comments & catching up on my bloglovin' feed awaits - perfect! 4. Her written & directed by Spike Jonze. 5. Alpro devilishly dark chocolate desserts. If I could survive on just these I would. I think I like them even more than I like sandwiches. And I like sandwiches A LOT! 6. 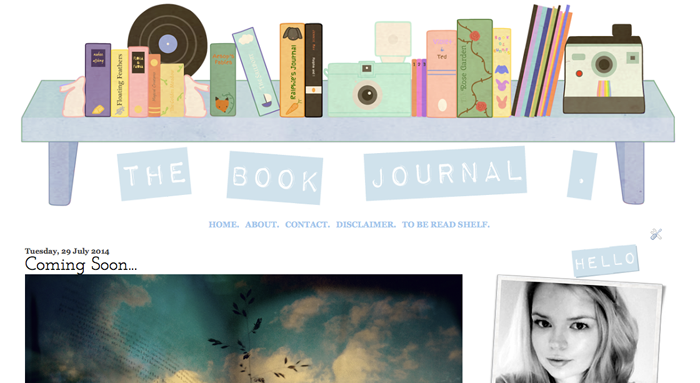 The Book Journal - coming soon! 7. Noting down the things that have made me happy for these posts! 8. The new series of Long Lost Family is as wonderful as ever and The Great British Bake Off is back next week! My favourite TV shows! 9. Positive thoughts banishing any semblance of negative ones instantly. 10. Results day at University & finding out that I passed, despite some incredibly tough marking. A first is now ever so slightly out of my reach, but I will be over the moon to graduate with a 2:1 next year, fingers crossed! Taking the leap back into education is one of the best decisions I have ever made. What is making you happy so far this week? Looking forward to The Book Journal! Congrats on passing- I just passed my first OU exam and I'm so pleased. Got a few more yet before I graduate but the feeling is a good one all the same. I think everyone should write down all the lovely positive things in life. The might just be a happier place for it. I've popped A Girl Is A Half-Formed Thing onto my to-read list. I'm intrigued. More people should watch Her! It's such a beautiful film if not slightly controversial. I have to admit I loved the colour scheme they used in it (the reds/oranges) is that just me? Lovely post Jennie. I will be sure to go and check Her out as I haven't seen it before. I am very excited about The Bake Off too! Enjoy the rest of your week. I've never heard of A girl is a half formed thing, but now I'm really interested to find it out. I also love Long Lost Family, Monday's episode was a real cracker, especially with the Mum who gave her baby away to parents who had just lost their two babies. Real tear jerker! Well done on passing :) That book looks interesting! Congrats on passing! So happy to hear that you enjoy this journey! Thanks to you my To Read List continues to grow - your recommendations are absolutely great! I recently watched Her. I found it a bit strange but I did enjoy it. A Girl is a Half-Formed Thing sounds right up my street, definitely adding that to the list! By the way, I think it was you who recommended The Snow Child a while back (if it wasn't then forget this), I read it recently despite it being the middle of summer haha and I absolutely adored it so thank you so much for that one! Her is just gorgeous. I can't even find the words to describe it. Lovely post. And I am very sure university will go to plan, but I know how far it feels when your in the mist of it! May buy that book, sounds interesting. I love your little section about your name, i'm literally the same haha i never know what to call myself. I don't pronounce jennie right so i'm just boring old jen. Love your blog it's such a great read! I'll go into business with you for that obscure novels publishing house! ;) I loved 'Her' too - watched it when it first came out at the cinema and then again on DVD and adored it both times. Rare to see a movie that's so thought-provoking but also indulges in one of my favourite themes, near-future fantasy!